For all our cycling trips we have an excellent fleet of bikes available to hire. Each bike comes equipped with a bike computer, compact handlebar bag plus a saddle bag with a spare tube, tyre levers and a pump. Helmets and water bottles are included. You can choose from 3 different types of bike, each of which is available for anyone of our road cycling holidays and come in a full range of sizes to fit every rider. *If you think that you or a travelling companion would need an e-bike to complete the trip please speak to one of our friendly adventure consultants before booking. There are a maximum of 2 e-bikes available per trip and these are strictly on a first come, first served basis. Please note that since our 5 Countries tour is a longer trip bike hire costs £225 per bike for road and hybrid bikes. Online – Simply note that you require a hire bike in your traveller notes when you book. The hire cost will be added to your invoice when we process your booking. Phone – Simply let us know you want to hire a bike and we can add it to your booking. After booking we will send you an online form to complete with your sizing information and any specific requests for your bike setup. This will let us assign you a bike and have it set to your requirements for when you arrive. The first bike in the range is a road bike which is the Checkpoint ALR 5. While the Checkpoint comes from Trek’s Adventure bike category it is ideally suited to riding in the UK and in particular the Scottish Highlands. 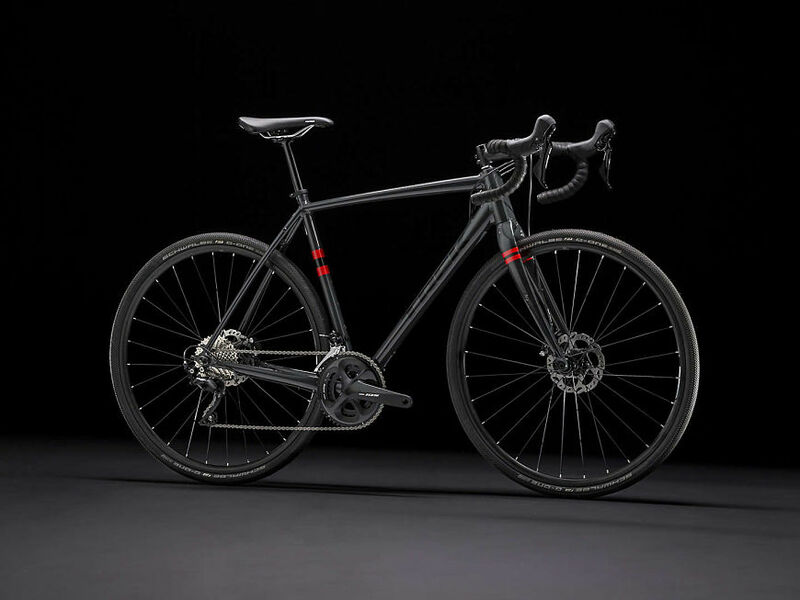 The frame is built from Trek’s highest quality aluminium with a lightweight carbon fork and is based upon the Domane; one of Trek’s best selling road bikes for many years. You’ll find a full Shimano 105 groupset throughout, including hydraulic disc brakes which offer superior braking performance in all weather conditions. The 11-speed gearing and wide-range cassette which means you have the gears to ride up even the most challenging climbs you’ll find on our trips. Rounding off the bike are hand picked 32mm tyres which may be wider than what you’re used to on a road bike but offer a massive increase in comfort and control without any increase in rolling resistance or loss of speed. In the Trek Checkpoint, we think we’ve found a bike that is ideal for the type of riding you’ll experience in the UK. Whatever the terrain or surface, the Checkpoint inspires confidence while delivering a level of comfort rarely found on a road bike. 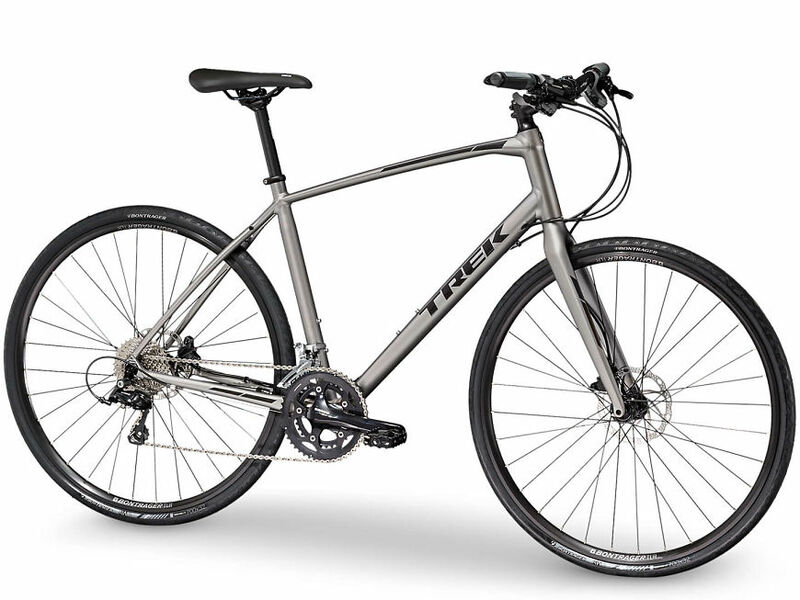 The second bike in the range is the Trek FX Sport 4. If your previous experience of hybrid bikes is heavy and clunky, this bike is going to be a big surprise. Lightweight and fast, the Trek FX Sport 4 will inspire you to ride further than you thought possible. What you get is the performance and speed of a ride bike but with the versatility and comfort of a hybrid. As with the Checkpoint, the bike comes with a lightweight aluminium frame and carbon fork. There is a Shimano Tiagra groupset throughout including hydraulic disc brakes for excellent braking performance. The FX Sport benefits from a wide-range cassette giving you the gears you need for the steepest of grades. The 32mm tyre choice is the same as the Checkpoint and adds further comfort with no loss of speed. The third and final choice is to embrace the revolution and rent an E-Bike for your trip. If you’ve never ridden an E-Bike before, be ready for a lot of fun. Everyone who tested these bikes from the Wilderness Team had a smile as wide as the Atlantic, simply great fun. We should probably explain that if you’re looking for a motorbike you’re going to be disappointed. This is still a bicycle and you’re still going to get a workout. However, the e-bike motor amplifies your pedalling effort and makes you feel like the wind is always at your back and helping you along the way. If you ride an E-Bike you’ll find that both the miles and hills melt away, leaving you to enjoy the terrain and landscapes to the full. What you may find with an E-Bike, is that it allows you to complete one of our more challenging trips or allow you to keep up with your partner or friends throughout the day. If you do hire one, we guarantee that it will be impossible not to grin as you cruise past them on the hills. 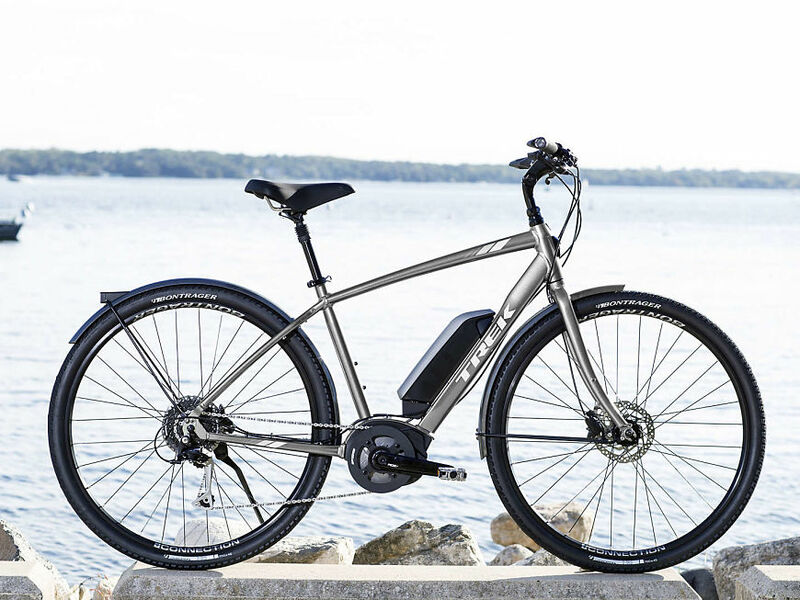 The e-bikes we have selected are the Verve+ which feature a lightweight aluminium frame, a 250-watt Bosch Active Line mid-drive motor capable of helping you sustain speeds up to 25 km/h all controlled from a handlebar-mounted switch. The Verve+ is also equipped with wide 45mm tyres for extra stability, Shimano hydraulic disc brakes for all-weather stopping power. It also has some cool features like the integrated Lync light system. My friends said "How Much?!" for a week in Scotland. I came home thinking what an absolute bargain the trip was. I'm already thinking about booking my next trip to the Hebrides or maybe a bigger challenge, the coast to coast or sea kayaking. Whichever I will be back to Scotland soon.